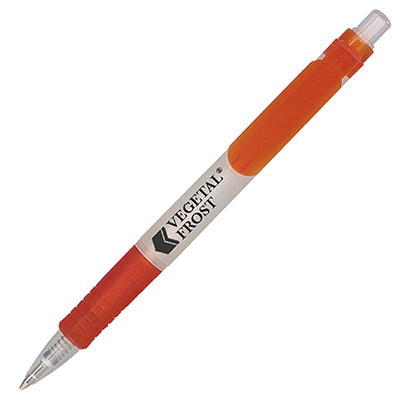 Description: Eco friendly push button ball pen in a frosted finish, 80% derived and 80% biodegradable. Clear frosted body with a choice of coloured frosted grip & clip. Black ink refills. Prices are for 1 colour BARREL Print.